Why See The Fab Four - The Ultimate Tribute? Sgt. Pepper's Lonely tribute band! 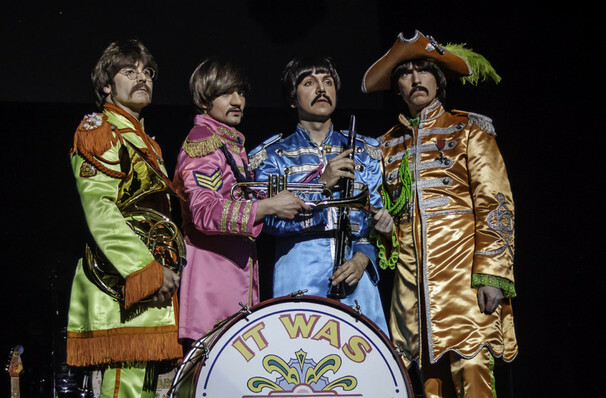 The Fab Four are one of the world's most in demand Beatles tribute acts! They're note perfect and the attention to detail is so impressive, you'd be forgiven for thinking you were in the presence of the real thing. From mop-tops to Wings, let the Fab Four take you on a journey through the life of a band that still thrill, nearly 40 years after they split up! The Beatles are one of those bands who's songs we all know; even if we've never learned them directly. The most innovative and revolutionizing quartet in musical history, their legacy lives on threefold, being the source of countless films, music, books and other media. 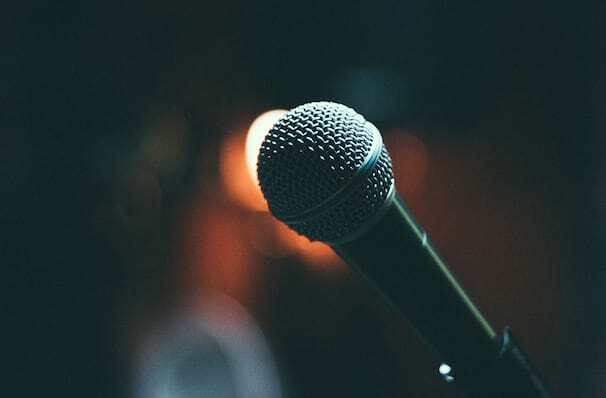 Founded in 1997, The Fab Four are made up of professional impersonators Ron McNeil, along with Ardy Sarraf, Rolo Sandoval and Michael Amador, who have dedicated themselves to bringing audiences the very best of the Beatles. From Las Vegas to Japan, Liverpool to New Zealand, they have delighted the world with their pitch-perfect renditions of pop's most cherished songs and are an absolute must see for Beatles fans old and new! 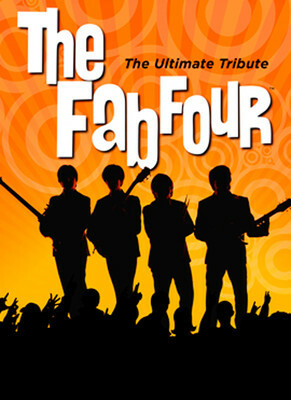 Seen The Fab Four - The Ultimate Tribute? Loved it? Hated it? Help your fellow Ames Theater visitors by leaving the first review! Sound good to you? Share this page on social media and let your friends know about The Fab Four - The Ultimate Tribute at Stephens Auditorium. Please note: The term Stephens Auditorium and/or The Fab Four - The Ultimate Tribute as well as all associated graphics, logos, and/or other trademarks, tradenames or copyrights are the property of the Stephens Auditorium and/or The Fab Four - The Ultimate Tribute and are used herein for factual descriptive purposes only. We are in no way associated with or authorized by the Stephens Auditorium and/or The Fab Four - The Ultimate Tribute and neither that entity nor any of its affiliates have licensed or endorsed us to sell tickets, goods and or services in conjunction with their events. Ames Theater is part of the Theatreland Ltd Collection. Established in 2003, Theatreland offers the largest individual collection of websites providing complete, impartial guides to all the theatrical, musical and performance arts events and venues in the world's greatest theatre cities, from New York's Broadway to London's West End and from the showrooms of Las Vegas to Shakespeare's Globe Theatre.